Authors should submit the manuscript that have been carefully proof read and polished. Authors are required to refer the J4R (Journal For Research) manuscript template. This will ensure fast processing and publication. Acceptance or rejection notification will be sent to all authors through e-mail. 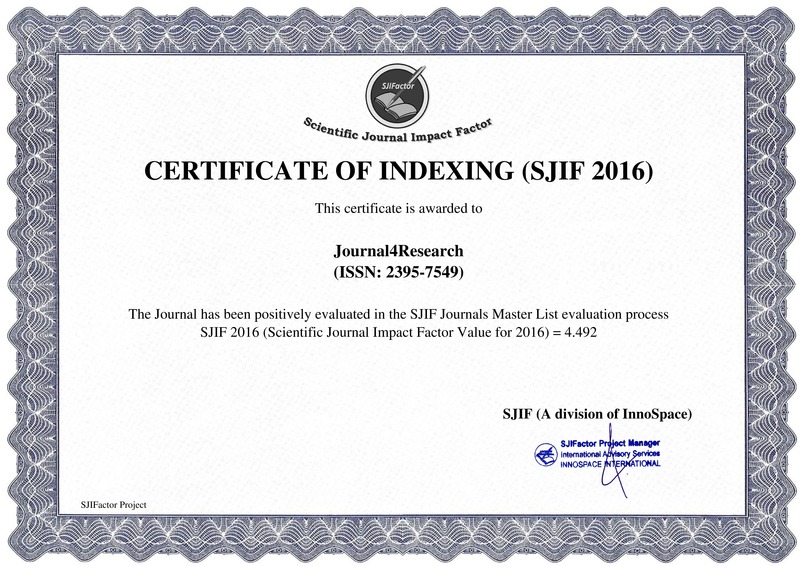 Authors should follow the J4R (Journal For Research) Manuscript format. Manuscript should contain maximum of 5 pages. Index terms or Key words are to be included in the abstract. Authors are required to sign the J4R (Journal For Research) copyright transfer form, once the manuscript is accepted.